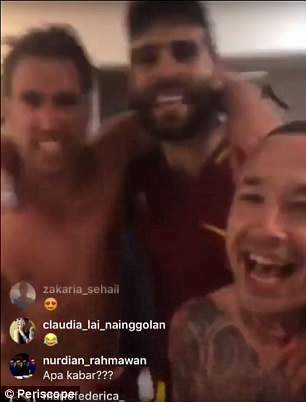 Roma had much cause to celebrate on Tuesday evening after inflicting one of the great Champions League comebacks against Barcelona. 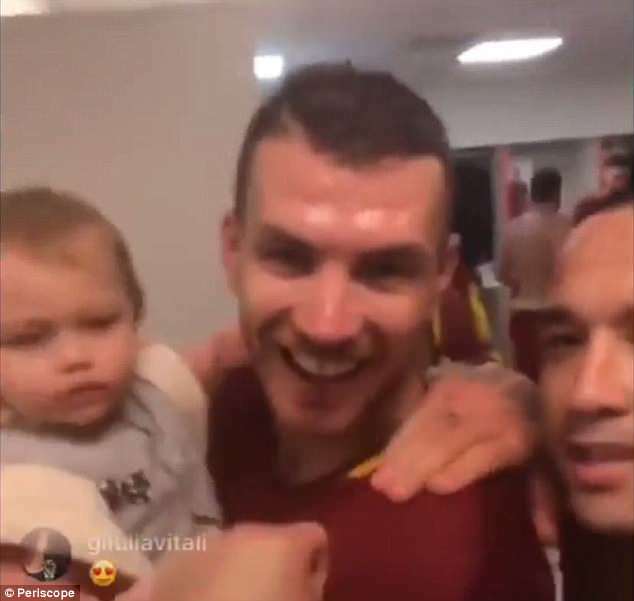 Goals from Edin Dzeko, Daniele De Rossi and Konstantinos Manolas ensured the Serie A side came back from a three-goal deficit to advance through to the semi-finals on away goals. 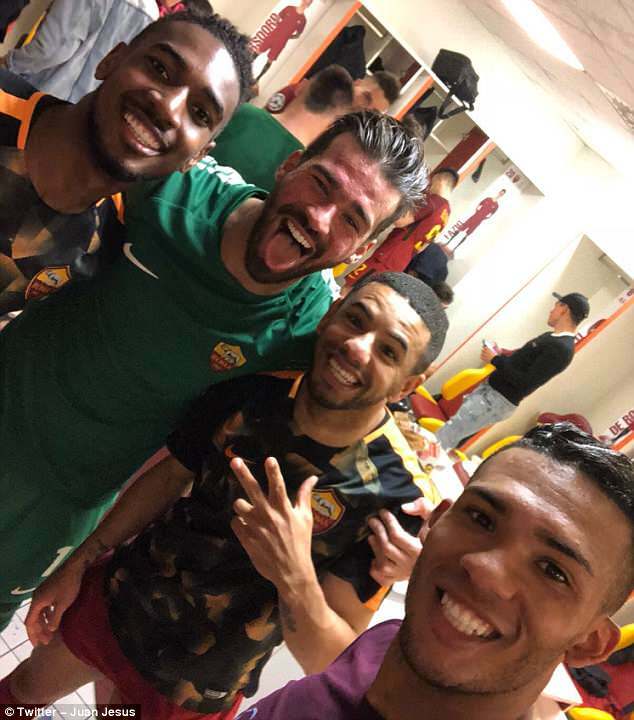 The Roma players, perhaps understandably, were quick to whip out their mobile phones and begin documenting their celebrations – which will presumably continue long into the night. 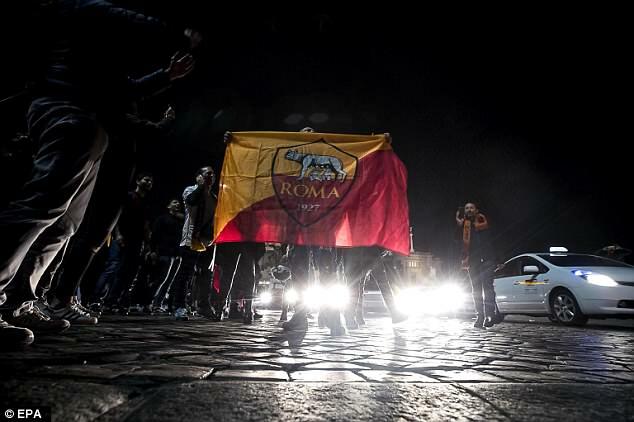 It was a night of Euphoria for Roma, who had to overcome the favourites to win the competition against almighty odds. 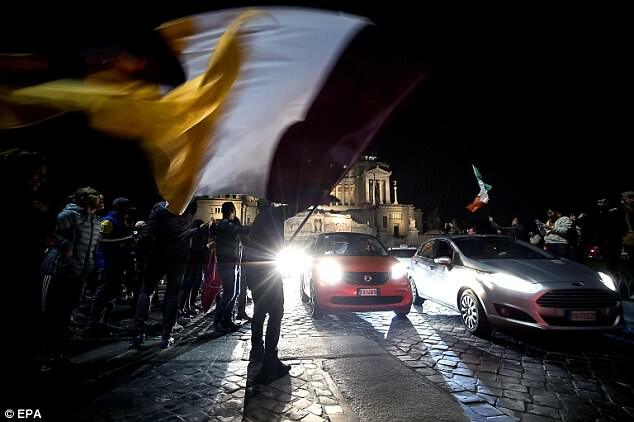 And captain De Rossi gave a particularly poignant review of the evening’s events after the turnaround in Rome. 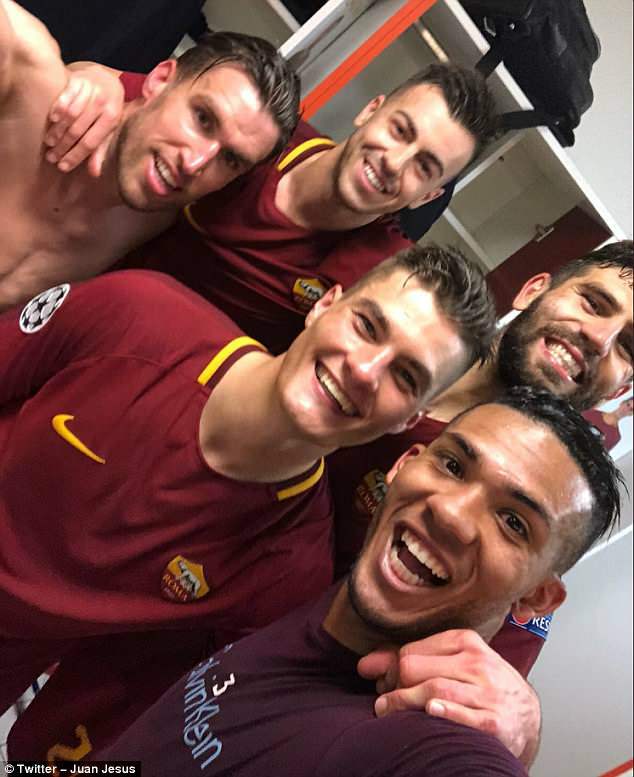 ‘It would’ve been a triumph for any team, but particularly for us, for the dimension Roma have always had in Europe, it’s truly incredible,’ De Rossi told Mediaset Premium. ‘Now we have to take another step, not think we’re in the semi-final and have already achieved the maximum. I don’t believe that we have. ‘We knew it would be difficult, but we had that little bit of belief. The first leg showed us Barcelona had a lot of quality, but not as much as a few years ago. 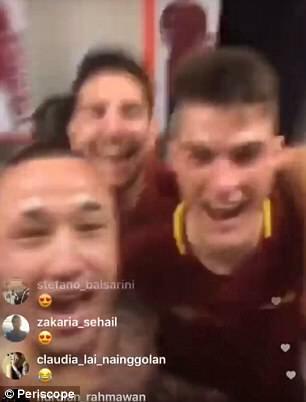 We scored two own goals, there were some dubious situations and we knew the gap wasn’t 4-1. 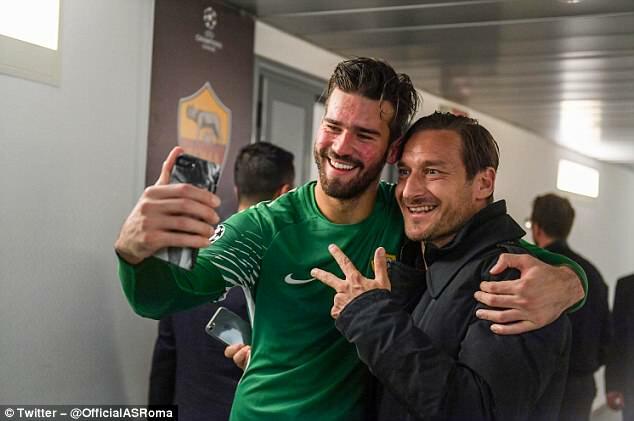 De Rossi and Manolas both scored own goals in the first leg but more than atoned for their errors with goals on Tuesday night. 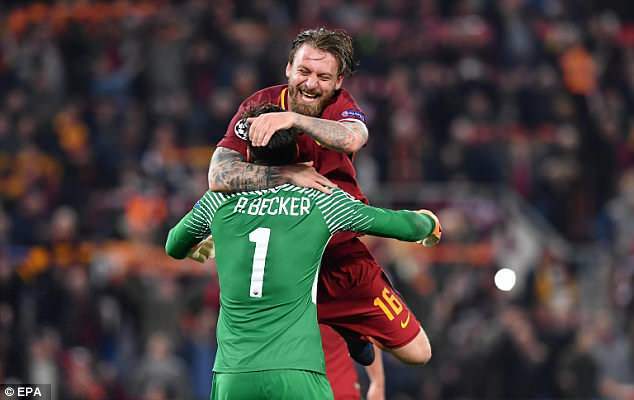 De Rossi added: ‘I am almost 34 years old, I want to keep my balance. I realise the own goal got people talking, but I prefer to play with courage and throw myself in there with the risk of getting an unlucky own goal rather than just playing it safe. I have to fight and give my all for these players.